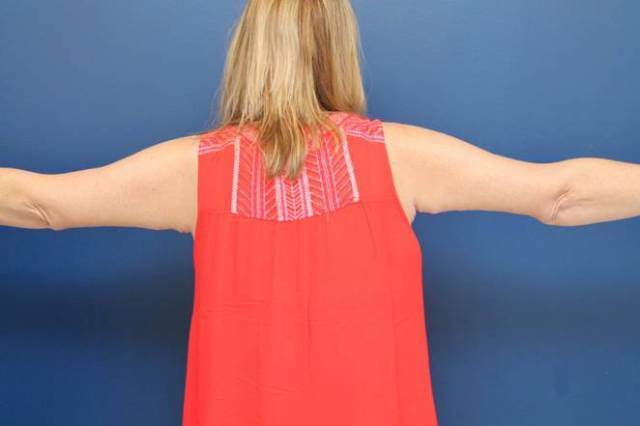 Unhappy with the excess sagging skin underneath your arms? Baltimore Plastic and Cosmetic Surgery Center knows exactly what to do. 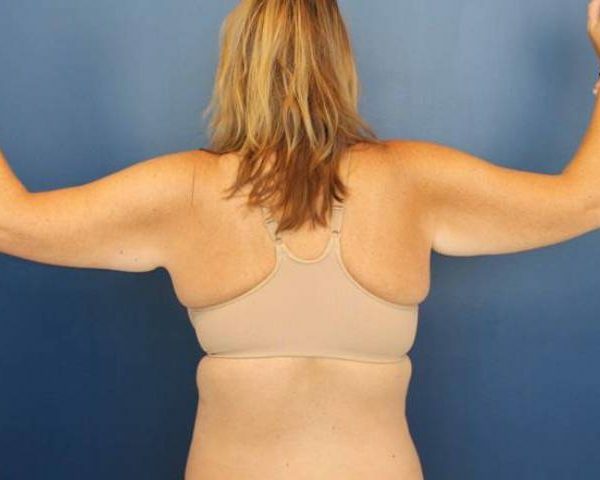 This is a 39 year old female from Baltimore, Maryland who was unhappy with the excess sagging skin underneath her arms. She lost a significant amount of weight that led to the hanging skin. She underwent a Baltimore arm lift (brachioplasty) and she is shown 1 year afterward. This is a 42 year old female from Baltimore, Maryland who lost over 100 lbs after gastric bypass surgery. She did not like the excess skin and fat on her arms. 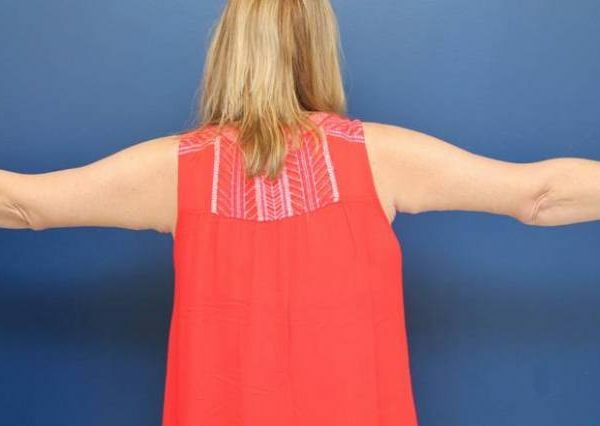 She underwent an arm lift (brachioplasty) and she is shown 1 year afterward.